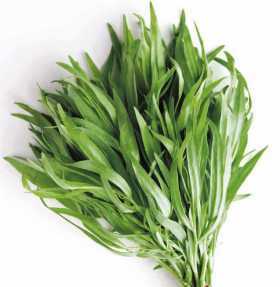 Tarragon is widely used in French cuisine but is less well known in the UK. Tarragon vinegar and the fresh herb are vital for an authentic Sauce Bearnaise. It’s often used in chicken dishes and egg dishes. Tarragon is a perennial related to Wormwood. There are two varieties – French Tarragon with it’s fine flavour and Russian Tarragon which is considered to be far inferior. French Tarragon rarely, if ever, sets seed that comes true so is always propagated by root division or cuttings. 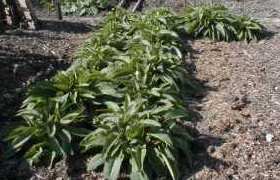 Russian Tarragon can be grown from seed. 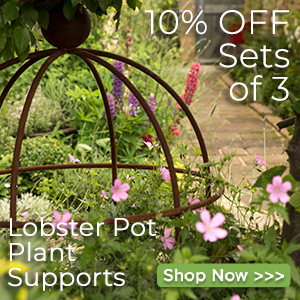 Tarragon can be grown in pots but you’ll need a fairly large one as it reaches 120cm high. The advantage of growing in pots is that the plant can be moved into the shelter of a cool greenhouse in the winter. Tarragon is easily propagated from cuttings or root division, so you should only need to buy one plant. 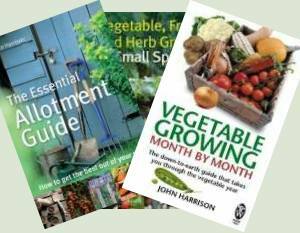 Propagate new plants from your existing plantevery third year. Pot grown tarragon will have become pot bound and straggly after three years or so. Pick the leaves as and when required. Tarragon is generally trouble-free. Note that it needs frost protection in cold years as mentioned above. There are two types – French and Russian. The French is considered to have a much better flavour than the Russian. French Tarragon is only purchased as a plant as the seeds revert to Russian type. Drying tarragon is possible but it tends to lose a lot of the subtle flavour and is not recommended. You can freeze tarragon, which is preferred to drying. Tarragon vinegar is probably the best way to save the flavour for out of season use. The vinegar can be used direct on salads or in making salad dressings, mayonnaise or mustards. You can also make tarragon flavoured butter which then imparts the flavour to steaks and other meat dishes. Chop finely and mash into soft butter. Re-form into pats and firm in the fridge. The tarragon butter can be frozen for long term storage.